A repackaged edition of the revered author's fictitious collection of letters in which he ruminates on the nature of prayer—what it is, how it works, and how it should be practiced. 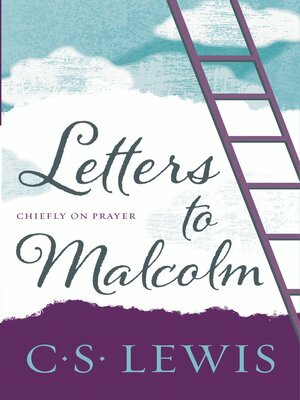 C. S. Lewis—the great British writer, scholar, lay theologian, broadcaster, Christian apologist, and bestselling author of Mere Christianity, The Screwtape Letters, The Great Divorce, The Chronicles of Narnia, and many other beloved classics—shares his understanding of the role of prayer in our lives and the ways we might better imagine our relationship with God. Composed as a collection of fictitious dispatches to his friend, Malcolm, Letters to Malcolm, Chiefly on Prayer considers this basic display of devotion in its form, content, and regularity, and the ways it both reflects our faith and shapes how we believe.